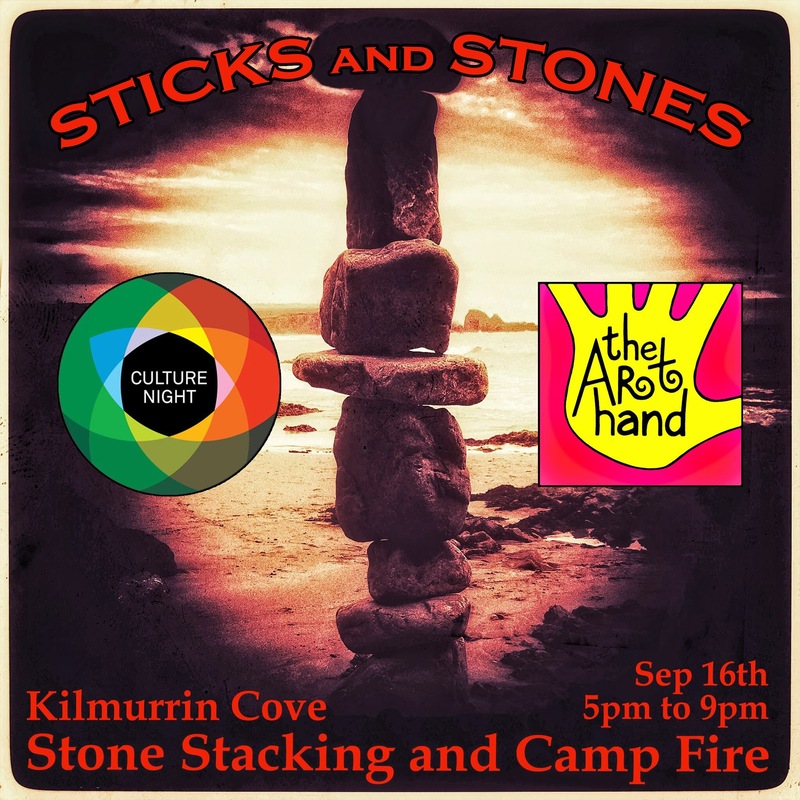 Stone Stacking and Camp Fire at Kilmurrin Cove for Culture Night…Friday, September 16th, 5pm to 9pm. Join The Art Hand at Kilmurrin Cove for our annual Culture Night celebration. Take part in a stone stacking challenge and share some culture around a camp fire! Have you ever balanced stones on top of each other? When was the last time you sat around a camp fire on a beach? What to bring; Dress for the weather! Bring a torch and a camera if you have one. If possible please bring along a few sticks or logs or some drift wood for the camp fire. Children are welcome but must be supervised at all times. This is a family friendly alcohol free event. Light refreshments will be served. This is a FREE event but you must confirm your attendance by texting the names of all those attending to us on 087 2524657. If you need to cancel please let us know. This entry was posted in Beach Art, Camp Fire, Stone Stacking and tagged Camp Fire, culture night, group event, Ireland, kilmurrin Cove, rock stacking, sticks, stones, The Art Hand, The Copper Coast, waterford. Bookmark the permalink.